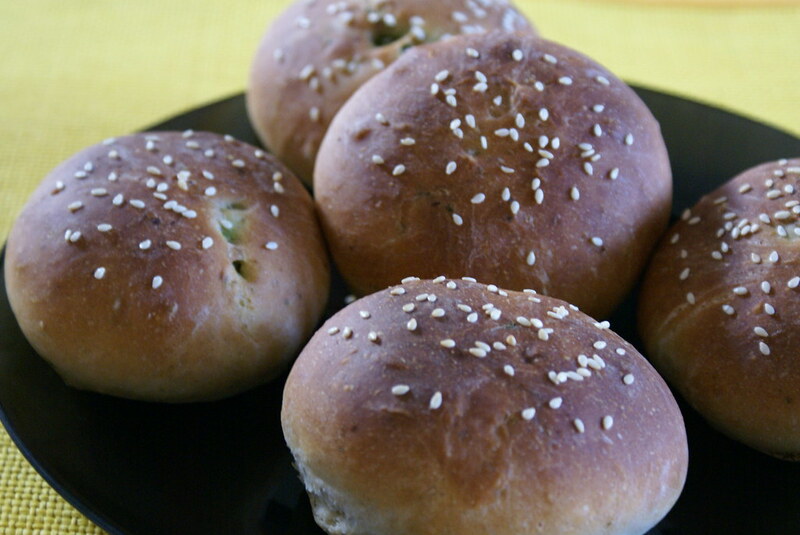 I had the left over mint pea stuffing in the fridge, so I made the bread rolls for breakfast again. Now I believe that “Practice Makes a Man Perfect”!!! Your minty pea rolls certainly look professional this time! 🙂 Well done! Well this really looks perfect. I even checked to your other roll page. Buns looks fabulous, did you see my buns at Aroma? Sweet buns. The buns look perfect Cinnamon, so the 2nd try worked like a charm huh? I’m definitely a perfectionist, but half the fun is in the process of perfecting. 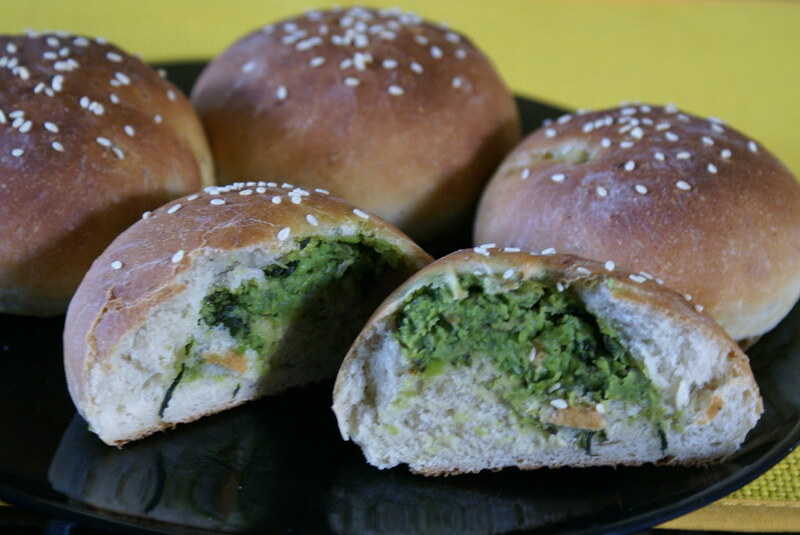 I’ve never heard of minty pea rolls, but I can’t wait to try them–they look gorgeous! look beautiful and you are so right, my hubby says- I dress up the dish just to take a pic ,not for him! you are a real perfectionist! i was a bit cofused the first time i scrolled down the page. good snack! Honestly they both look fantastic. And delicious, a new take on kachori’s. well these r surely improved and looking better. They look yummy ! Am sure gonna try it out sometime.. The minty pea rolls look great…both the versions! Ata girl – way to go. your rolls looks absolutely pro……great work. These reminded me of a kind of spinach rolls I used to eat when we lived in the Middle East (I think they were called ‘sabanekh’ – not sure). They tasted absolutely yummy. We lived in an apartment above a bakery, and the baker only made these on the weekends for breakfast. 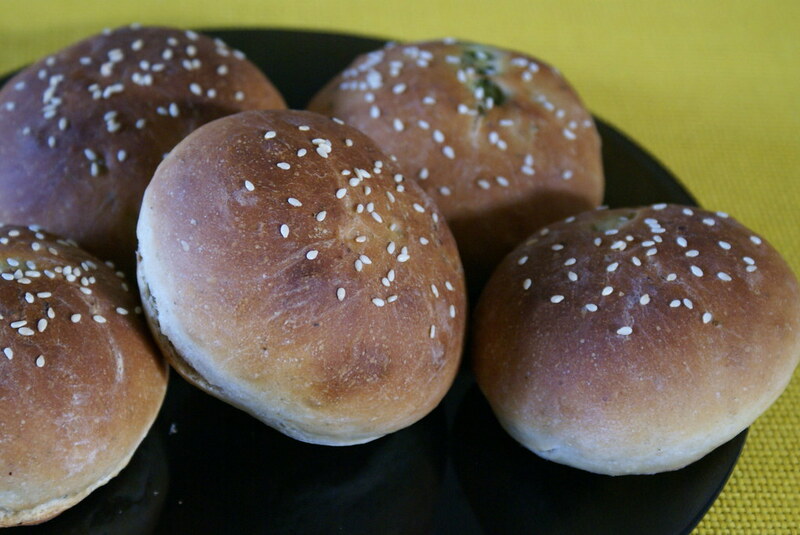 I remember those freshly baked soft triangle-shaped buns with spinach filling inside them. I always missed them after moving away from the place. I’m going to give this recipe a try, and then perhaps modify it with spinach filling. I’m not at a perfectionist stage yet 🙂 – I just thank my stars if my result turns out edible. Wow those caught my eyes. I love to bake too.